Special Offers - R.G. 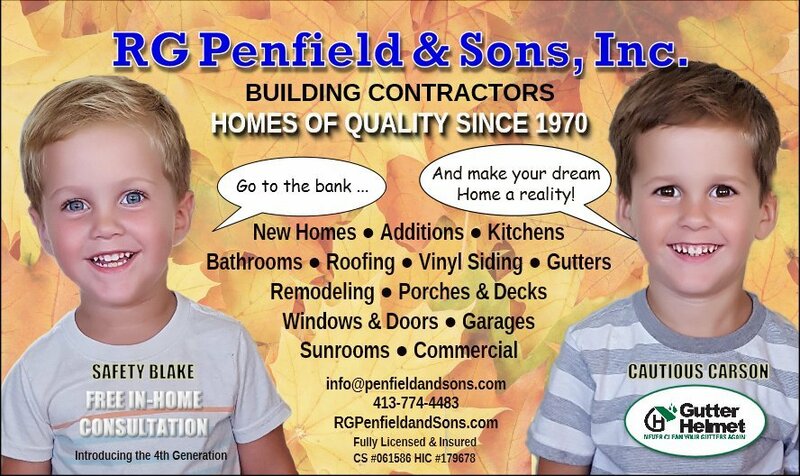 Penfield & Sons, Inc.
How long have you been waiting for your dream home? Your dream is our mission – right down to the finest details. We can also help you stay in your existing home longer, with a custom addition for more bedroom or living space, a bumped out kitchen, and more. From design, to permit, to certificate of occupancy Penfield and Sons is ready to earn your trust and confidence by bringing the job in on time and on budget. And Safety Blake has lots of options to make your life easier and safer. For example, with Gutter Helmet you’ll never need to climb a ladder again to clean your gutters.